It feels like everything is changing faster than ever because today’s pace of change is something humanity hasn't experienced before. In November 2015, MCF embarked on a strategy development process to recommit to our legacy of serving our members and adapt to changing times. For more than a year we have listened closely, asked big questions and dared to think beyond the now. With the guidance of our board of directors, an engaged strategic planning committee and input from 200+ members on the 2016 member survey, we pushed ourselves to think beyond a traditional mission, vision and values. Transformation is inevitable, but people are not made for this pace of change so we get drained and feel overwhelmed. 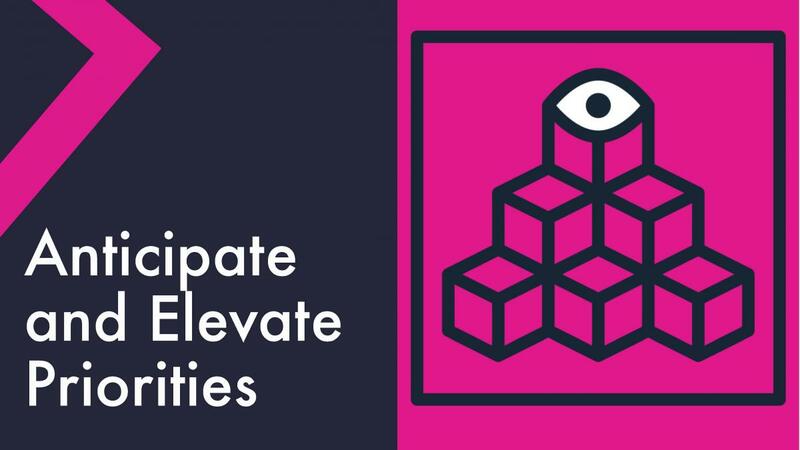 Rapid change can feel particularly exhausting for those of us working in philanthropy, as we are trying to fix society's most pressing challenges, and the problems are changing faster than our understanding of the current landscape. With these new challenges, philanthropy must ask itself: How do we prepare for what’s coming next? 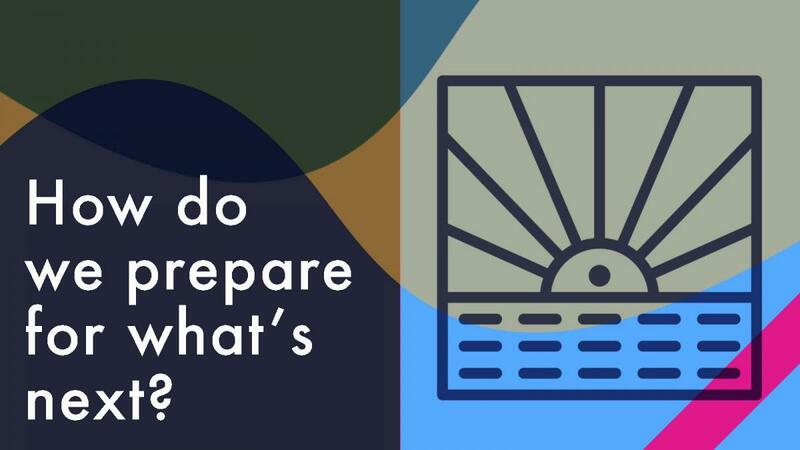 If we prepare for a problem before it lands on our doorstep, it can become a huge opportunity. We can harness that change and create a much bigger, positive impact in this world. 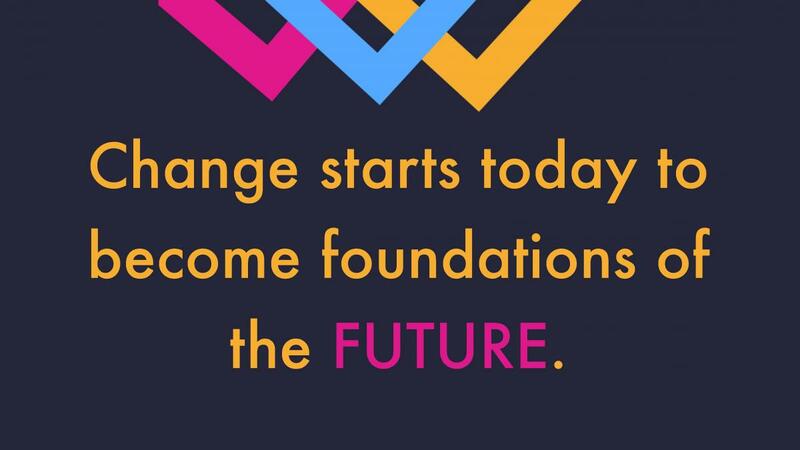 Because MCF sits at the intersection of our nearly 180 members and the broader philanthropic landscape, we saw how challenging the changes were for our members, and we knew it was time for us to step up and build our capacity to help you thrive in this rapidly changing environment. Most strategic plans tell you what to do; this one told us who to be for our members. 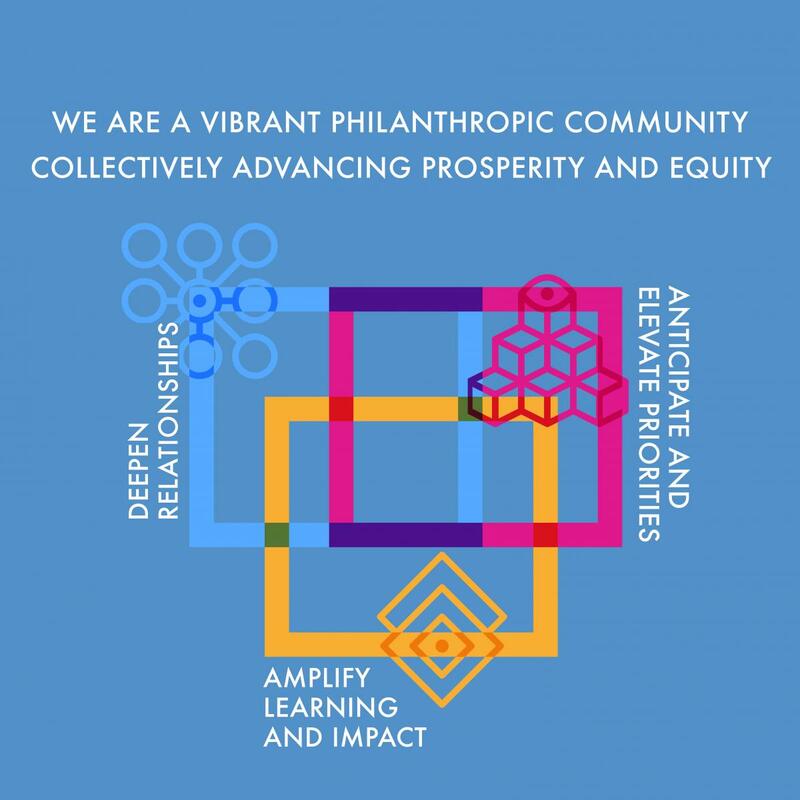 That's how we came to our new purpose statement: MCF is a vibrant philanthropic community collectively advancing prosperity and equity. You may be asking yourself, “Why prosperity and equity? I'm not sure how this fits with my foundation's grantmaking.” Prosperity isn't just about wealth. Prosperity is a state of flourishing and thriving. It is about community members being happy and in good health. And equity is about that joyful state being available to all members of our communities. Your unique work fits in this frame. Together with our members, and using these focused strategies, we will fulfill our purpose as a community. 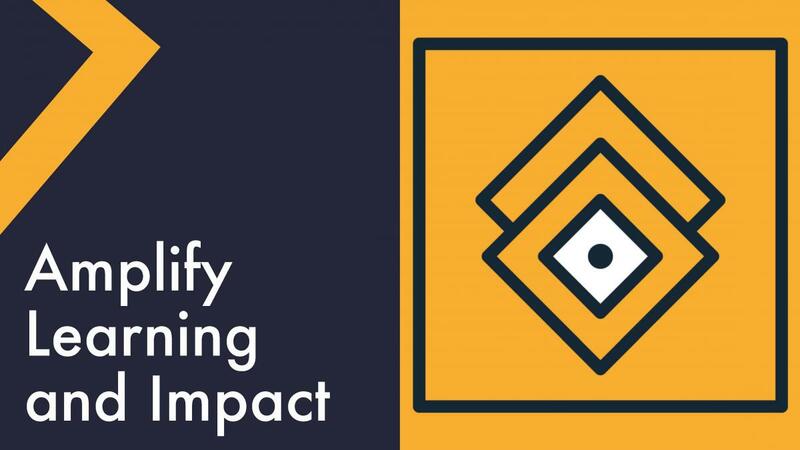 Amplify and share members’ activities, learning and impact — Minnesotans don't often talk up the great things they are doing, so we are here to do that for you. Anticipate future trends — We've talked about the fast rate of change, and we are here to help you anticipate what is coming next on issues you care about. Deepen relationships among members — We want you to get to know each other and work together; that's where the greatest change will come from. For months, MCF members buzzed about mission investing: What is it? How does it work? Hearing that conversation bubble up, MCF—with support from the Bush Foundation—hired an executive in residence who brought your curious minds together to learn more. The peer-learning group that formed quickly morphed into a collaborative working group when members decided to put their ideas into action. With MCF’s support, nearly a dozen foundations have come together to create an impact investing pool already worth close to $15 million. The first mover foundations are now bringing the pool through their internal review processes. In addition, Otto Bremer Trust and Bush Foundation have field-building infrastructure grants to support the work. With a unique financial structure that makes it easier for foundations to manage their investments within a shared fund, the MCF group is the first of its kind in the country to unveil a joint mission investing pool. After the 2016 election, many people were scrambling. Members were unsure how coming changes would impact foundations and the communities we support. That's where MCF comes in. Through a relatively simple scenario planning tool, we have helped our members move beyond worry and on to the work of developing possible futures within the new federal landscape. MCF is available to talk to your staff or board about what these scenarios may mean for your organization. 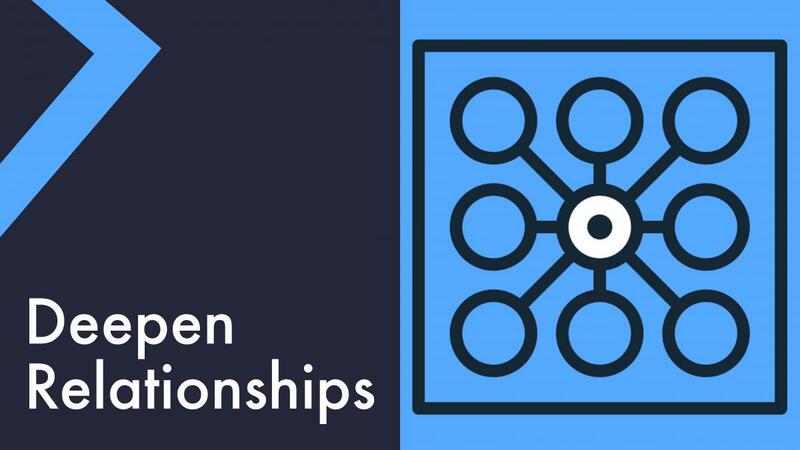 We have heard loud and clear that networks are one of your favorite ways to connect with your peers and learn from each other. We have doubled down on that commitment by investing more staff time into the support of networks, and we are also building our virtual capacity to support those networking opportunities. We have invested in a new resource called The Hub, an online community for our members to connect and share resources. We have also increased our public policy capacity and made some important staff changes to ensure that your interests are well represented at the Capitol. Key to our policy and advocacy work is ensuring a fair and accurate census. If there’s one thing foundations rely on to get the best picture of how they should invest in the community, it is data. An accurate census that counts everyone—including low-income residents, senior citizens, rural community members and people of color—is one of the best ways to ensure philanthropy has the information it needs to invest in causes that keep Minnesota moving forward. Fifty years from now, philanthropy won’t look like it does today. Human ingenuity will demand that we change how, where and when we grant money to make sure our dollars continue to move our communities forward toward solutions. Every day philanthropy receives signals of what our world may look like tomorrow. MCF is the hub where philanthropic leaders will gather to envision the future, exchange ideas, reexamine traditional structures and push one another to rise and meet the opportunities of the next era. We know that the future isn’t something that happens to us. We shape it and create it together. Decisions we make today help us become foundations of the future. We invite you to continue to be a part of this vibrant future.